Coil whisks work best with small quantities of light, liquid ingredients. Flat pan whisks work best in low sided dishes or pans, when using a small quantity of ingredients. 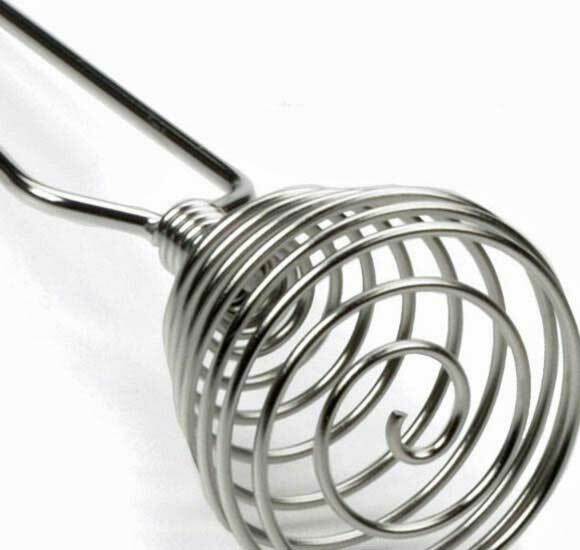 Churn beaters, or bedspread coil whisks, work best with light, liquid ingredients in small bowls or cups, using an up-and-down motion. Handled egg beaters also work best with light ingredients. Their geared mechanism makes for quick whipping. Silicone whisks are another versatile choice. Birch whisks are traditionally used for light whipping primarily in baking. Made of twigs that are stiff, yet relatively pliable. Wood and plastic whisks are used primarily in non-stick pans, where it is important to keep from scratching the surface. 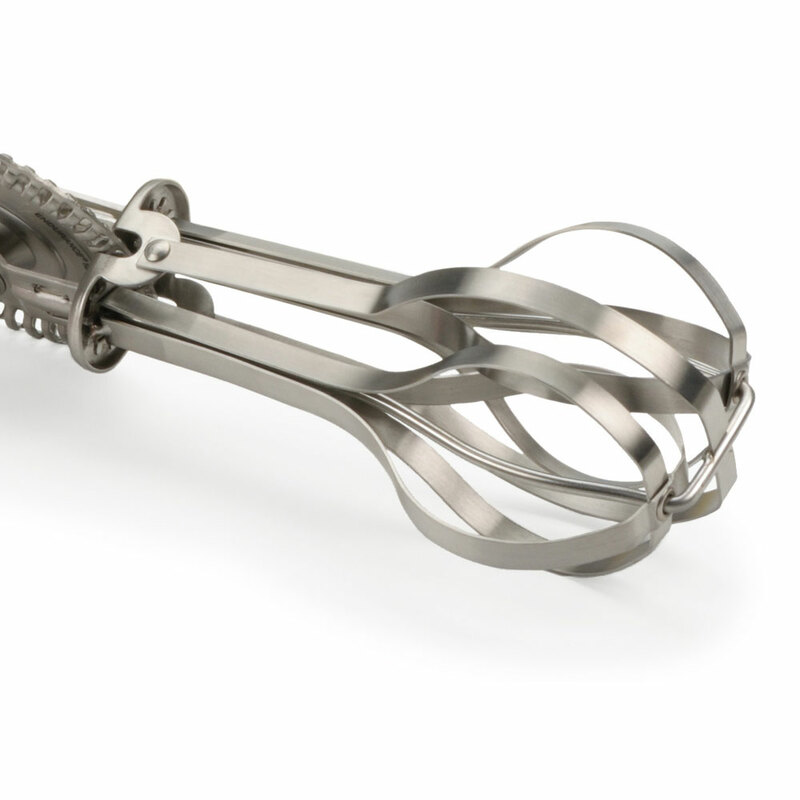 Silicone coated whisks are also great for non-stick pans, as well as for other uses. Their greater number of wires makes them more effective, and their non-stick silicone surface helps make clean-up quicker. 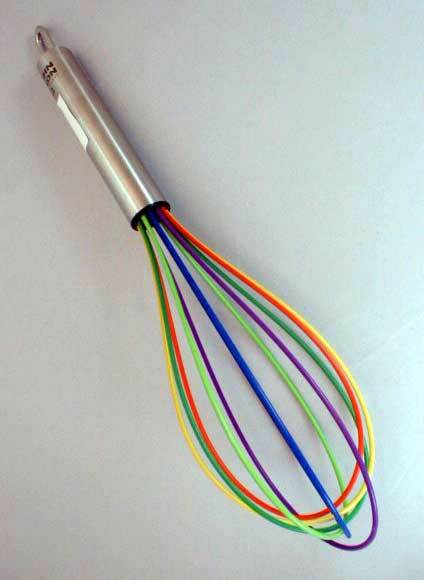 Ball whisks, with little balls at the end of the wires, work best with light ingredients. 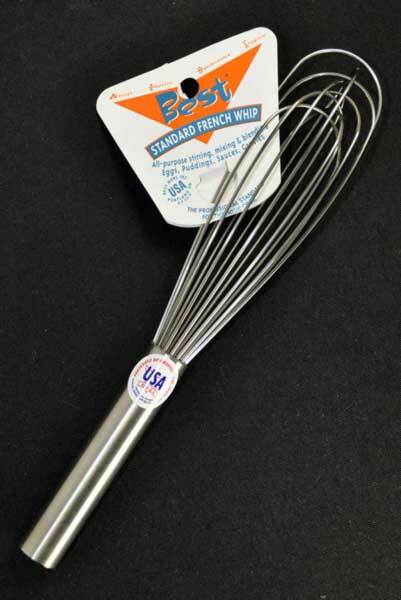 French (or Sauce or Standard) whisks, are great for all mixing and whipping uses. The stiffer (thicker) the wires, the stiffer the mixture they can work on. 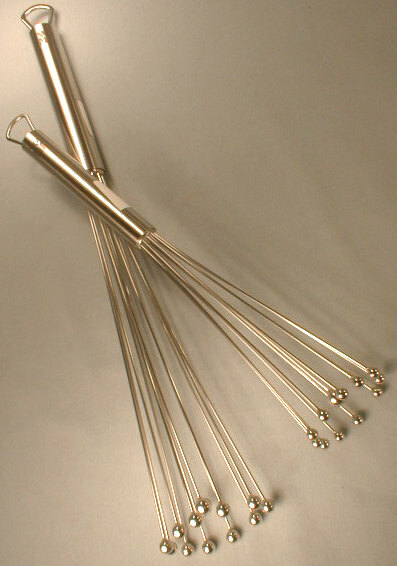 Balloon whisks have rounded wires, and work best at whipping light ingredients. They usually have more wires than French whisks, and, as such, they incorporate more air. They are sometimes called piano whisks. Keep an eye out in the coming weeks when we delve deeper into the land of molecular gastronomy and chemistry in the kitchen! Happy cooking!